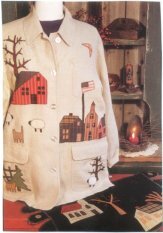 Easy applique embellishes a purchased jacket. Wool penny rug also included! 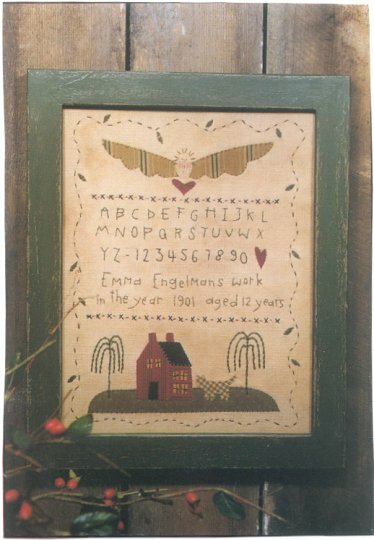 A great pattern for a 17" angel whose body is uniquely a birdhouse. You'll find a singing bird resting upon the perch! 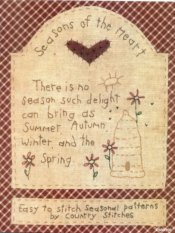 Pattern for a "time-worn" 11" x 14" embroidered sampler. Aging tichnique will make this look like a sampler of yesteryear. A hand embroidered sampler on the belly of this 22" Annie doll makes her extra special. 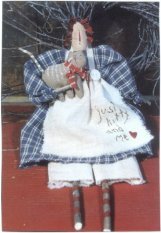 Pattern for a 12" Raggedy Ann and her very own kitty with a twiggy tail. 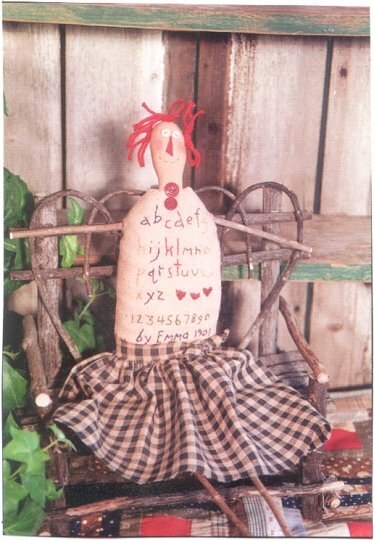 Pattern for a 20" primitive Raggedy Ann and her very own hand stitched sampler. This doll will grab your heart! 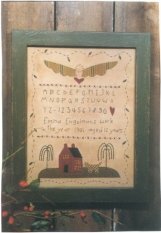 Projects included in this book are two embroidered pictures with birds, hearts and flowers, bird and flower pillow, and painted stacking boxes. You'll love the bird and flower stitchery framed in an old window frame. 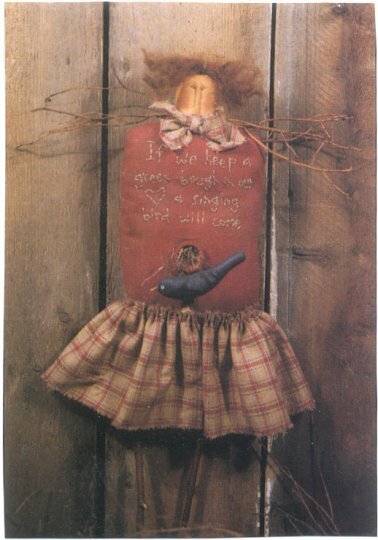 This booklet has a 9" doll for each season. 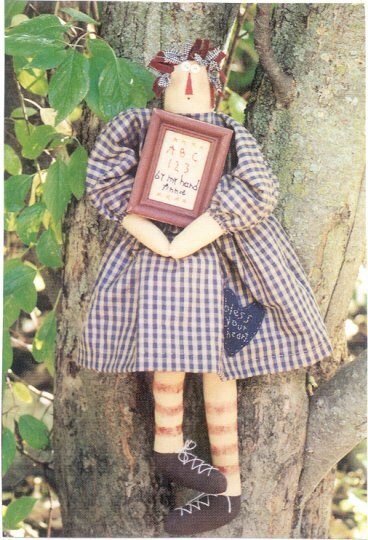 Fun embroidery embellishes each doll with a seasonal theme. 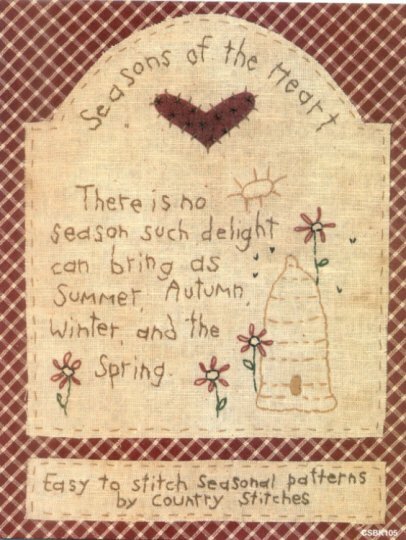 An embroidered picture with a season verse also included. 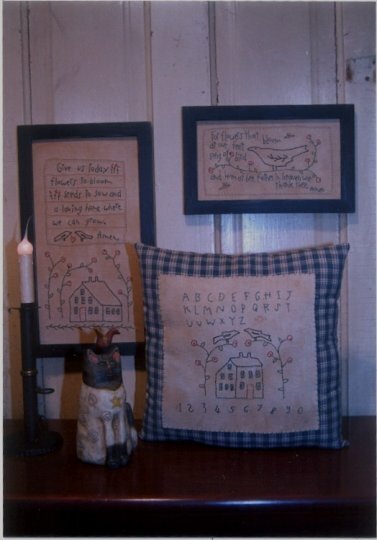 Pattern includes instructions for a 14" pillow and a primitive 8" x 15" sampler. Both items are reminiscent of the simpler times. 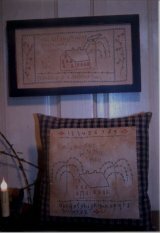 Either project can be stitched up in an evening! This pattern is loaded with 3 great projects! Whether it's the 6" x 10 1/2" stitchery, the 8" x 15" stitchery or the 14" pillow you are going to love the charm they will add to your home. 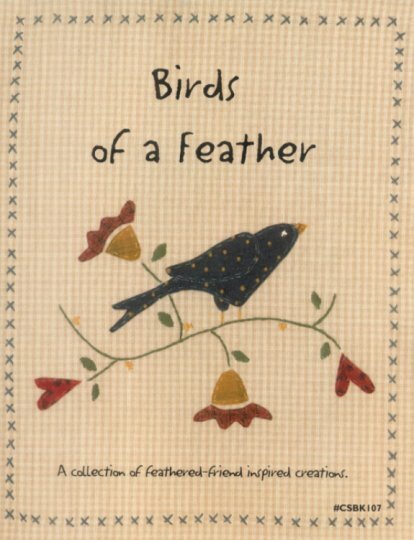 A must have for the crow collectors!